Analysis and opinions on the additions for Yusei Kikuchi, Tim Beckham and Cory Gearrin go the 40-man roster and the signing of Dustin Ackley to a minor league deal. With via-doom, the Seattle squeeze or traffic-ageddon — or whatever quippy thing people are calling it — expected to cripple the city and somehow make traffic worse, the Extra Innings podcast is back to make your commute in that soul-crushing slog just a little bit better, or worse, depending on your baseball outlook. After a two-week hiatus so a certain columnist could work on his upcoming book with Edgar Martinez, the podcast is back with beat writer Ryan Divish and said columnist Larry Stone discussing the Mariners and Major League Baseball. This week’s topics include the recent signings by the Mariners — left-handed pitcher Yusei Kikuchi to an interesting contract, former No. 2 draft pick Dustin Ackley to a minor league deal and shortstop Tim Beckham and reliever Cory Gearrin to one-year MLB deals. 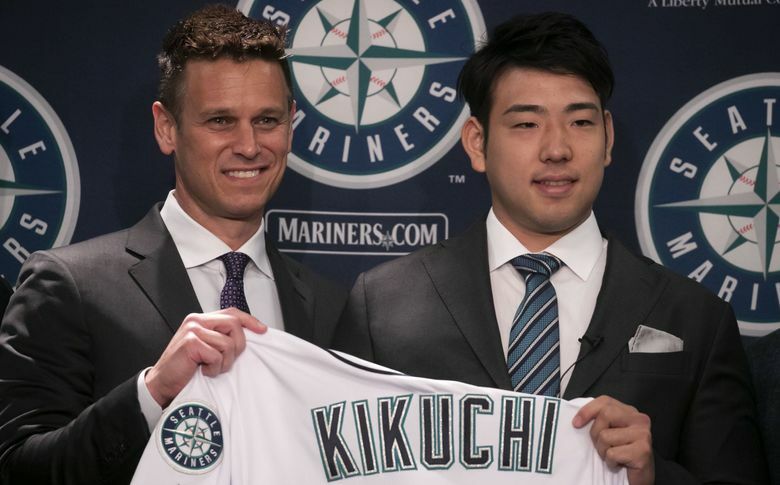 The usage of Kikuchi and expectations are debated as well as some analysis of a contract that could be three, four or seven years long and could reach a sum of $109 million. They discussion turned to why Ackley, who was once expected to be a starter in Seattle, was brought back on a minor league deal and what went wrong during his time with the Mariners. What is expected of Beckham and Gearrin? The podcast wraps up with some discussion about the MLB and MLB players’ union and a possible work stoppage after the 2021 season and also Heisman trophy winner and A’s top draft pick Kyler Murray and whether he should play baseball or football going forward. You can also download the podcast on iTunes and Stitcher.